Yes, it’s the start of the XXII Winter Olympics in Sochi. It is also the end of the Waxing Crescent cycle of the moon, which should be a huge relief to my family (see Monday's post for an explanation). And it is three weeks before the Spring Premieres of Grey’s Anatomy and Scandal, which as far as I’m concerned should constitute a national holiday. But today, Thursday, February 6, 2014, also commemorates the most significant day of my natural life, the day without which none of the others would be possible. That’s right, kids. It’s my birthday!! My 36th to be exact. 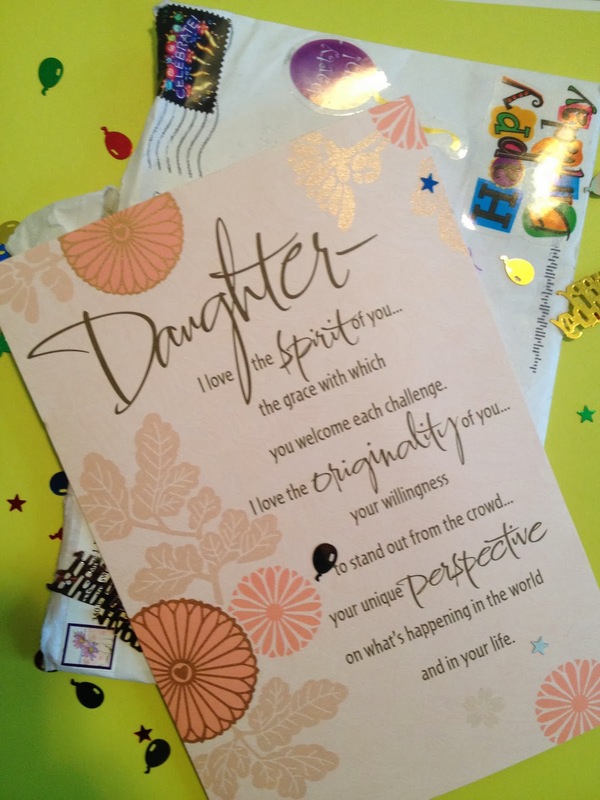 The birthday card--with confetti and stickers--from my Mom. Not because the work was difficult or mundane. It was actually pretty cool discovering noteworthy events from my birth year, like the introduction of the cell phone by Illinois Bell Company and the conviction of David “Son of Sam” Berkowitz. That year Hollywood struck gold with Grease, The Wiz, and Superman among other eventual classics. And knowing 1978 saw the premieres of Space Invaders and Hungry, Hungry Hippos makes me feel a certain kind of special. But the stress of trying to get it done right now! with relish and precision, the fear of running out of time, and the guilt of once again not living up to my self-inflicted, self-destructive expectations? Yeah, that was the opposite of fun. So instead of continuing with that and turning this lighthearted page into an emotional liability, I've decided to do something else, something significant with a lasting impact on my 36th year and the ones to follow. I am going to give myself a gift. Rather, I am going to accept a gift, a gift given to me through the Ultimate Gift, the One who gave His life that I might have mine and have it more abundantly. I long ago accepted His offer of salvation, but that gift, that priceless, life-changing gift is literally the gift that keeps on giving. And I am choosing to accept the rest of it. I choose to accept the peace that passeth all understanding, the peace He gives that can keep my heart from being troubled and afraid. I choose to accept my freedom, for whom He sets free shall be free indeed. And I choose to accept guilt-free living, for there is no condemnation to those who are in Christ Jesus. This hat trick of blessing is my gift to myself this year. No more agonizing over whether people “get me." No more engaging in activities about which I do not have peace. No more comparing my worst to others' best. No more comparisons period, unless I am comparing myself to yesterday's self and marveling at my progress. No more putting myself down every time my days don't conform to some idealized (read: imaginary) vision of life serving only to rob me of reality’s joy. Above all else, no more forgetting my identity is not in my social media presence, the stories I write, or even my happy marriage and adorable children. No, my identity is in Christ, and in Him I am complete and wholly, eternally accepted. This is the best gift I can give myself. 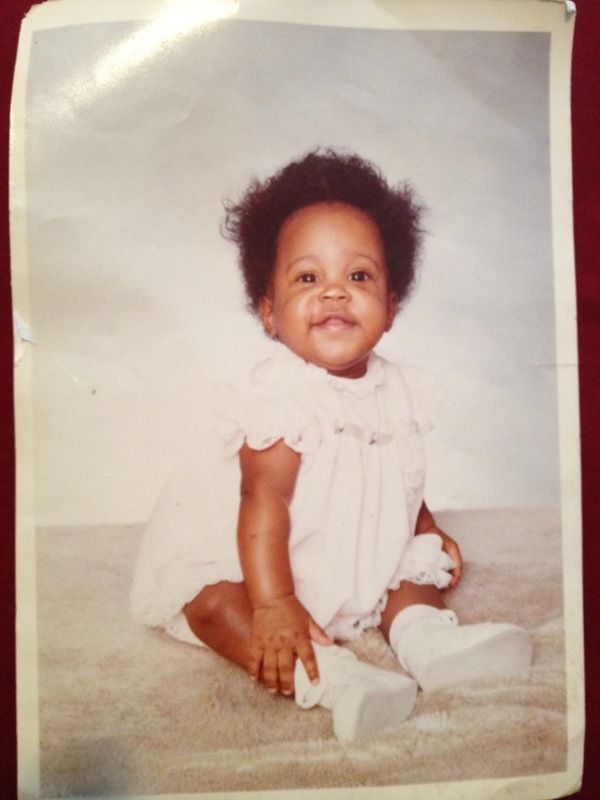 And in that spirit, I have one for you: A little bit of me, in all my first year glory. You're beautiful, D, inside and out! Much love, and I hope the next year brings you peace and joy.